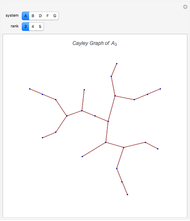 Visualize various finitely generated Weyl groups. Each node represents an element. 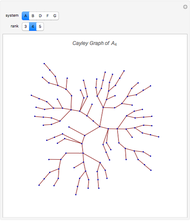 Bring your cursor over a node to see the sequence of simple reflections that gives rise to it, and over edges to see how the nodes are related to each other. Weyl groups are special cases of Coxeter groups, which are finitely generated and occur in many areas of mathematics; see for example  and . 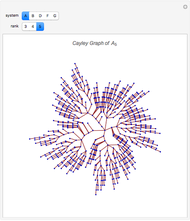 This Demonstration visualizes the Weyl groups of classical types A, B, D, F, and G in the form of a Cayley graph. 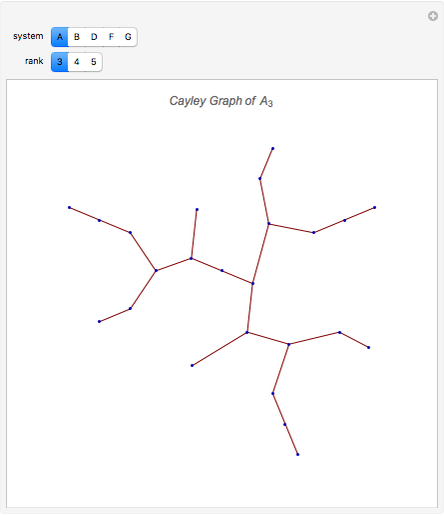 A Cayley graph is a directed colored graph whose vertices correspond to the group elements. Two vertices and are joined by an edge of color , with being one of the finitely many generators of the Weyl group, whenever . 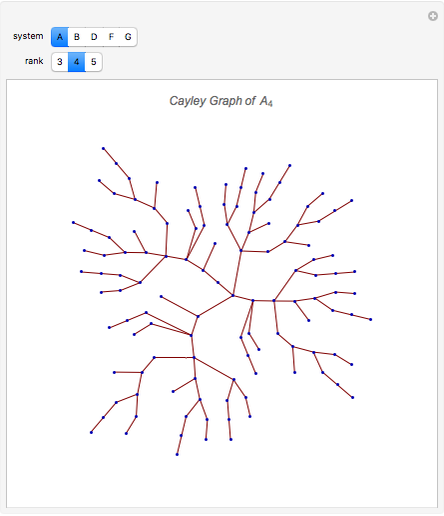 Thus, the Cayley graph encodes the group structure and it is an important tool in combinatorial and geometric group theory. The first button controls the type of Weyl group generated, and the second one selects the rank of the group, that is, the number of generators . 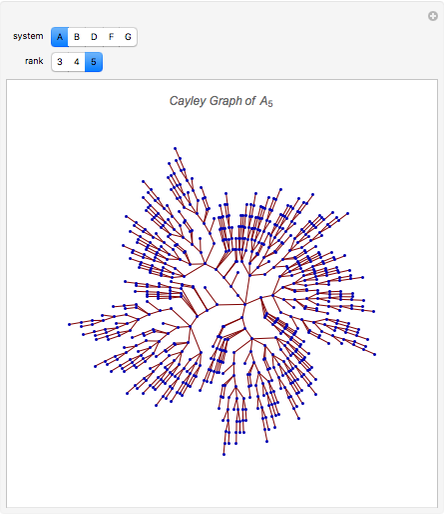 The memory efficient computation of the Cayley graphs for Weyl groups is a nontrivial task. This Demonstration has been inspired by the algorithms put forward in . It has been written as part of a third-year summer project at the School of Mathematics and Statistics, University of Glasgow under the supervision of Dr. Christian Korff. The project was funded from the research support funds of a University Research Fellowship of the Royal Society held by Dr. Korff, and their financial support is gratefully acknowledged. References  J. E.Humphreys, Reflection Groups and Coxeter Groups, Cambridge: Cambridge University Press (1997). A. V. Borovik and A. Borovik, Mirrors and Reflections: The Geometry of Finite Reflection Groups, New York: Springer, 2010. D. M. Snow, "Weyl Group Orbits," ACM Transactions on Mathematical Software, 16(1), 1990 pp. 94–108. Justin Paston-Cooper "Cayley Graphs for Weyl Groups"